MOSCOW, February 4. /TASS/. Russia’s space satellite Express-AM33 has come back to life, the press-service of the Satellite Communications company told TASS. 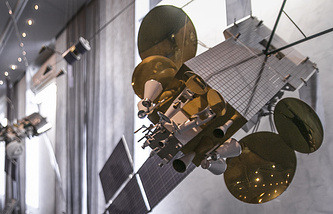 "At 15:00 on February 4 the Satellite Communications state enterprise and the Reshetnev Company "Information Satellite Systems" managed to fully restore the operation of the Express-AM33 satellite and resume communication and broadcasting services provided on its basis," the press-service said. Earlier, a source in the space rocket industry told TASS an unidentified glitch had upset the satellite’s operation. Express-AM33 was put in orbit in January 2008 and went operational in April 2008. 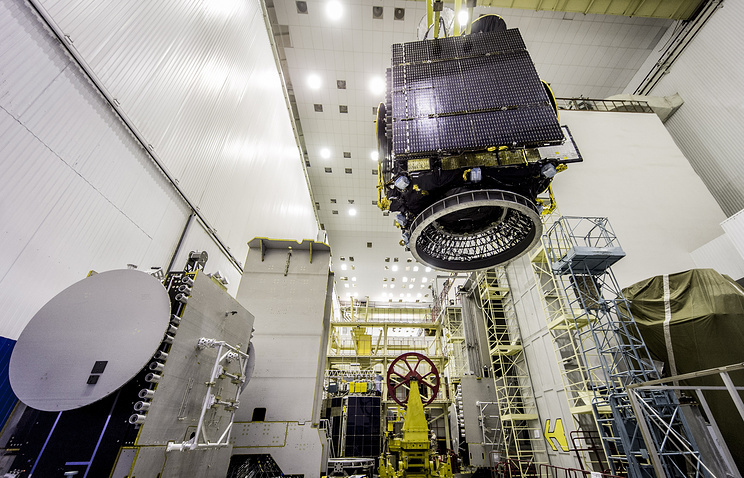 According to information available from open sources, the satellite is a joint product of the Reshetnev Company "Information Satellite Systems" and Thales Alenia Space, built under a contract with the federal state unitarian enterprise Satellite Communications. Express-AM33 provides digital TV broadcasting, telephony, video conferencing, data transmission and Internet access services. It covers a vast territory of Russia, Kazakhstan, northern regions of Central Asia, Mongolia and China.